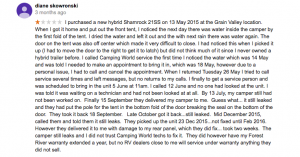 Should You take your rig to Camping World In Grain Valley MO for service or any other kind of repairs? This video is NOT to slam Camping World In Grain Valley MO, but simply to raise awareness to others before using this service department or any other one for that matter. There are so many people out there that don’t give a rip about you or your stuff, so be careful and what out for those that you deal with. It is usually a bad sign when people will not return your phone calls, or do not do what they say they will do. Integrity is not everyone’s strong point! 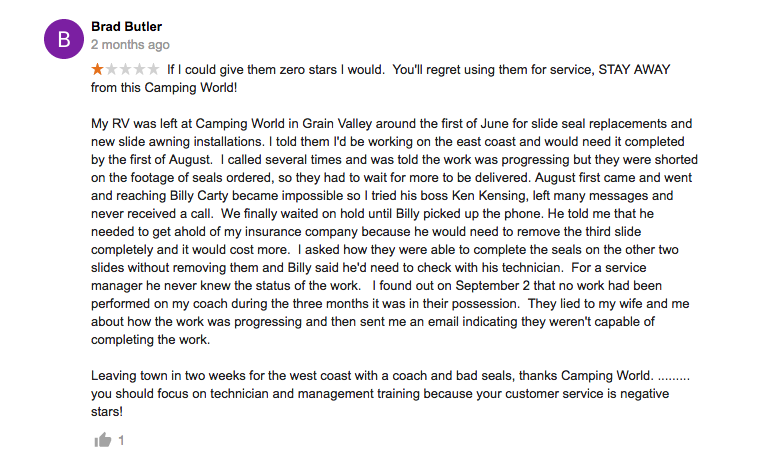 Camping World in Grain Valley MO lacks integrity and good business management. You have to keep people informed and you must return phone calls to those that leave messages. I have not once had messages returned to me from the service dept management at this location, and I have left many messages. Once I purchased this fifth wheel I not once received another phone call from Camping World in Grain Valley MO. My salesman had called me everyday until after I purchased it, then never again. I would think that one would do a simple follow up to make sure you like it and are not experiencing any problems, but everyone runs their business differently. And after having problems with our fifth wheel I left numerous messages with my salesman to start with, then I jumped up to the service dept management when I found out that my salesman no longer worked there. 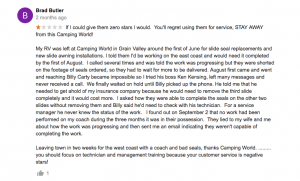 Finally after NOT ONE of my message from Camping World in Grain Valley MO was returned, I drove down there (over 1 hour) from our place to get some answers and help with a unit I purchased from them that at that time hadn’t even been 3 months. When I purchased this fifth wheel at Camping World in Grain Valley MO I absolutely loved it, and still do. How can I still love it with all of these issues? It’s simple! I know that it isn’t the campers fault, but rather the people who have serviced it and worked on it. I also know that I will get this fifth wheel of ours (our home) back to the condition it once was with or without the help of Camping World in Grain Valley MO. 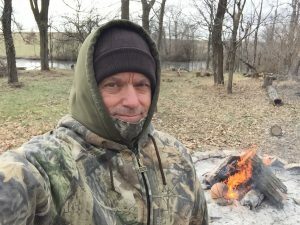 The truth of the matter is; I refuse to ever take it back to Camping World in Grain Valley MO, instead I will do the work myself and send the bill to them to pay. When you have bad dealings with someone, it probably doesn’t make sense to take it back to that person again…right? 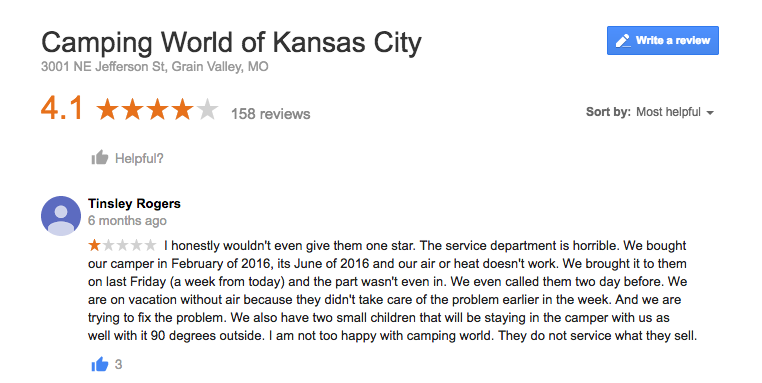 I know that not all camping world branches are bad, and I am not saying Camping World in Grain Valley MO is bad. I am saying that it’s the management that makes or breaks a business and that keeps people coming back and that gets the good word out about their service department and how good they are and how well they stand behind their work. 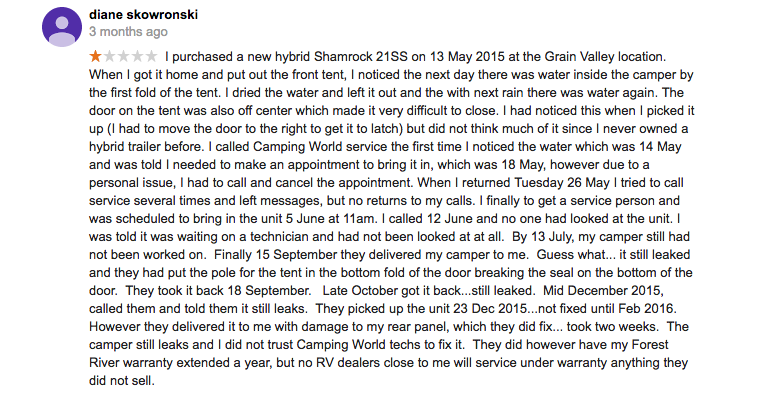 Below here are just some of the reviews for Camping World in Grain Valley MO that I wish that I would have found before ever going to their business. This is a just a few of the bad experiences with a lot of the same things I am experiencing with them. 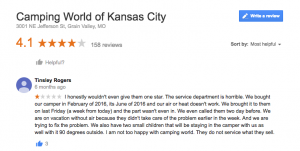 Trust me, there is tons more bad reviews of Camping World In Grain Valley MO. Do your research FIRST before you ever deal with anyone, or their business! It might save you a great deal of pain and regret later on down the road. Watch this video and feel free to leave your comment on what you think, or even experiences that you have had with this service dept or others for that matter.